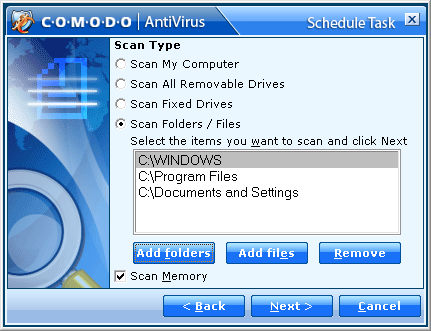 Continuing in our series on free anti-virus utilities we need to take a look at Comodo AntiVirus, from the same people as the popular Comodo Firewall. We’ll take a look at their beta version running under Windows XP, although it is Vista compatible. Note that this utility doesn’t work on Vista 64-bit in my testing. 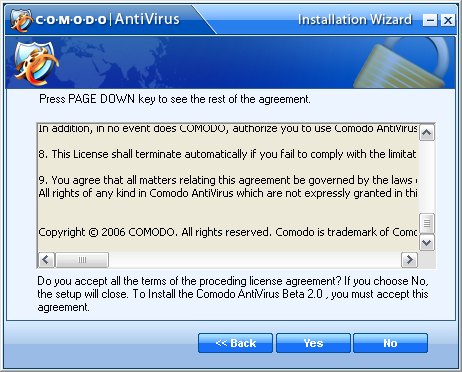 First we will start with the installation process and agree to the EULA. Does anybody actually read them? You will get the following License Activation screen where you just need to enter a valid email address if you wish, it is not required. After going through the install wizard a reboot is required. 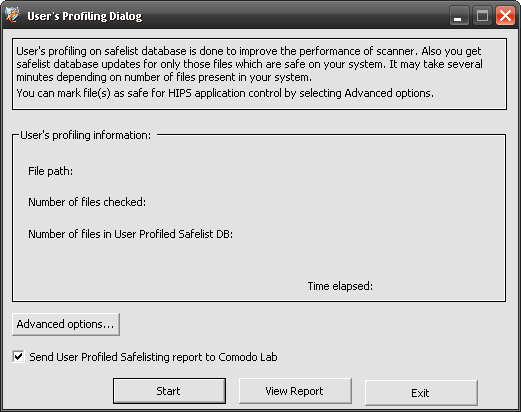 After rebooting a user profile safelist database will be created, which identifies safe files on the system under the current user profile. The database helps HIPS (Host Intrusion Prevention System) technology identify unknown executable files and alerts the user when they attempt to run. This will take a few minutes to scan and create the database. 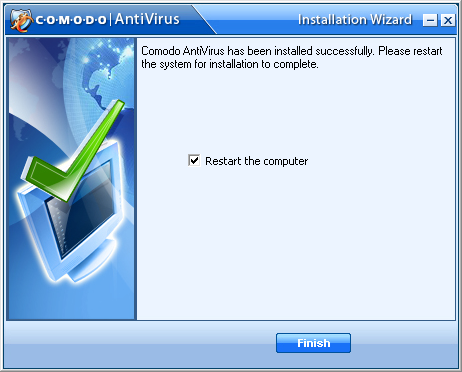 Once the initial setup is complete, the Comodo UI shows us the status of different components available. The virus database runs in the background and checks for updates on a regular basis. The length of time for full system scans are comparable to those of the other Free Anti-Virus Utilities we have covered. Similarly a progress screen is displayed and we can stop, pause, and resume. 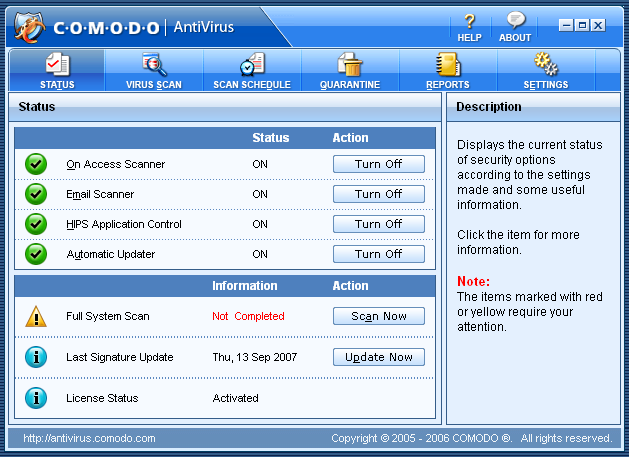 Scheduled Scans are included with this version of Comodo. Just click Scan Schedule and create a name and description. You have the ability to create a custom scan or you can go with a default full system scan. Then you can select the day, time, and frequency for the scan. Another of the more noticeable features is the Reporting capacity. Several reports are available and broke down into scan types. 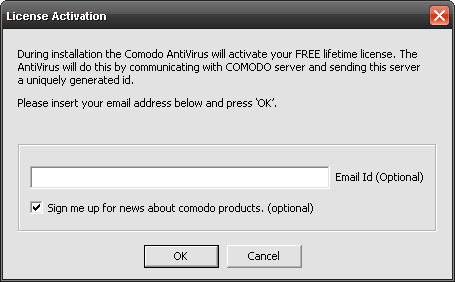 Comodo is a solid Anti-Virus utility and offers a lot of features available in the commercial products, like Real-Time protection, email scanning, process monitoring, worm blocker, and several more. 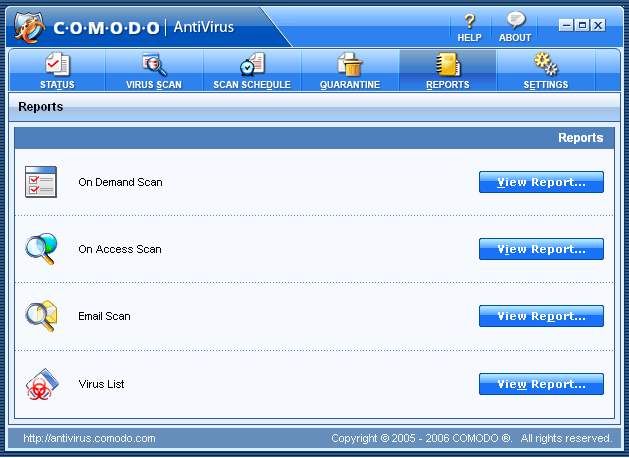 Comodo is light on system resources and highly customizable.